Well, not strictly a formal found poem in that the found phrases used are not in the order they were found in the text of Silas Marner…This is more the story of an Art piece that sprouted at first more of a concrete or visual found poem. 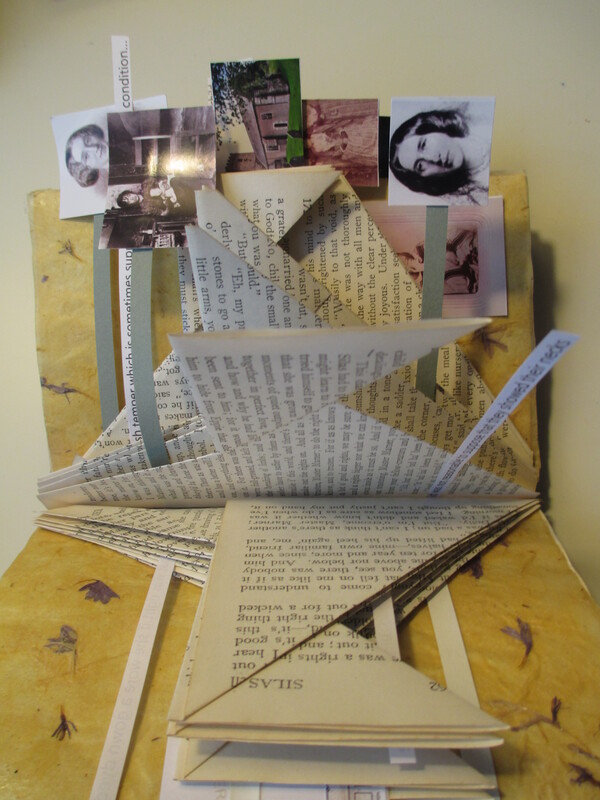 This is the context: I decided to make an art object from an old book that I found while perusing the offerings on a sale table at my local second-hand book store, which turned out to be Silas Marner, by George Elliot. Fifty cents, a done deal. 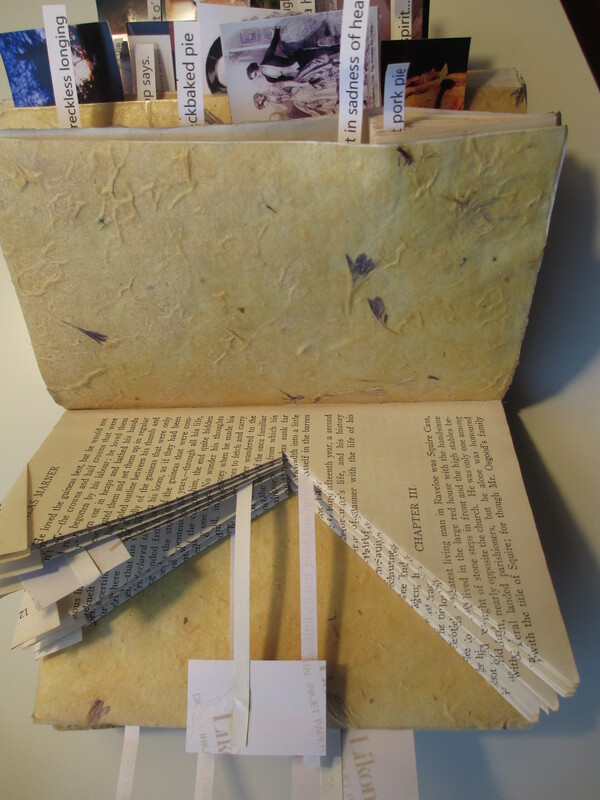 First I selected phrases from the book, printed them in a large font and cut them into strips before folding the pages to form sculptural shapes. This was an absorbing experience, watching teh forms emerge, deciding which folds would make a satisfying shape. Once the folding was done, I added the phrases so that they stuck out from the folded pages, and looked for various Elliot-related images on the internet to print out, clip, and add to the pages. 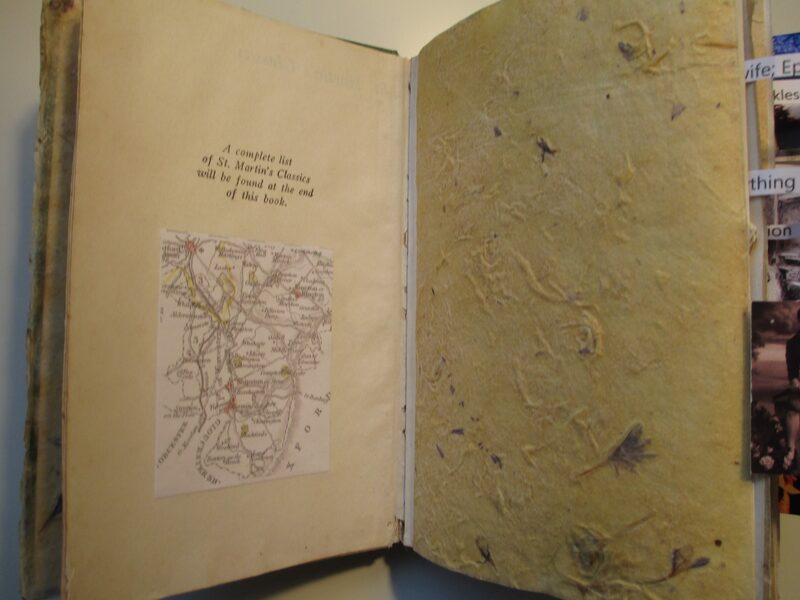 Reinforcing necessary pages with handmade papers, I added such things as small maps and larger fold-outs of the area where she lived, images of her face, book cover designs of more modern reprints, period clothing. I’ve not mentioned yet how much fun I was having with this project. Suddenly (oh, that old saw, suddenly…) it occurred to me that the phrases that fluttered out as if they were the feathers or individual hairs of some exotic yet verbally-based imaginary creature could be made into a ‘found’ poem of sorts, and I surprised myself that I hadn’t thought of doing this until the poem pieces were already protruding from the pages. 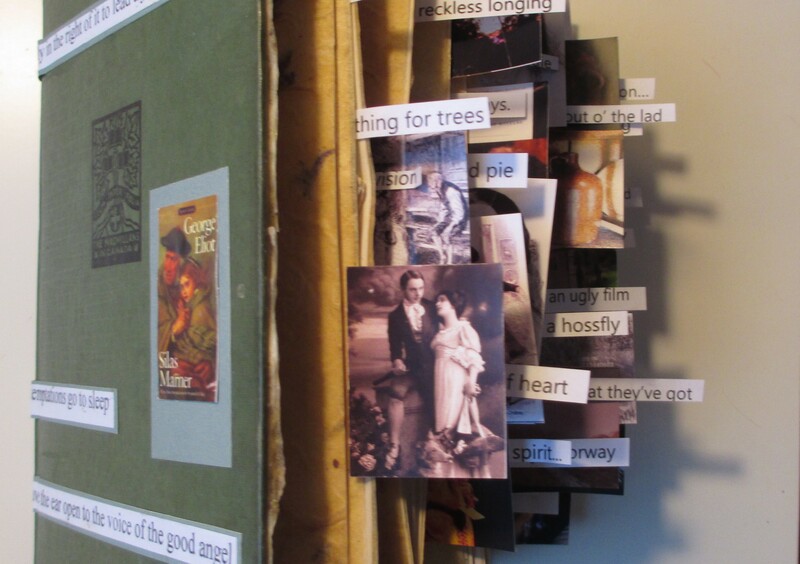 Making this little Art object/poem from an old book cheers my heart just a little, one less book in the landfill, at least for a while. This is beautiful, Claudia! What a fascinating thing. 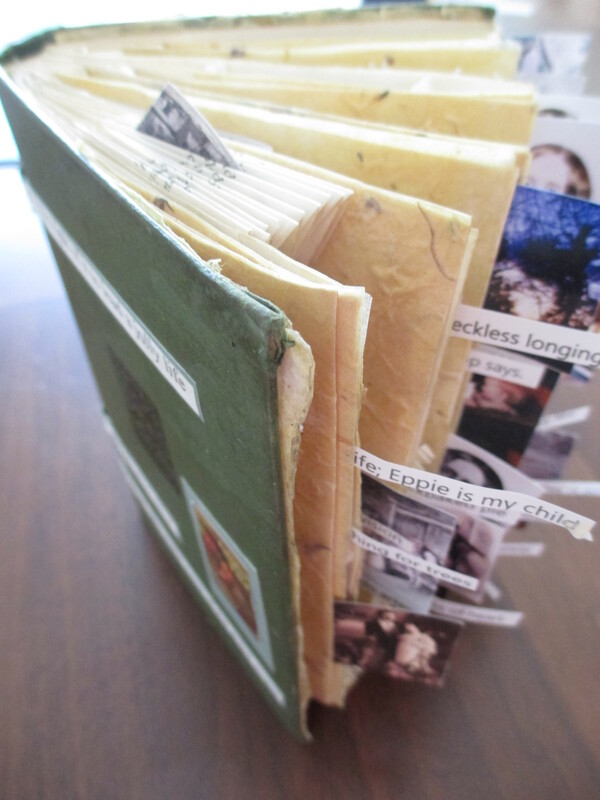 Thank you Laurie; It’s not hard to make so maybe one day, you find the right old book, and we can make one! Thank you Laurie. It felt good making teh book have another life.